Good evening! Hope everyone’s week is off to a wonderful, productive start! I can’t believe we are into our first week of November! Ah, goodbye long, warm, sunny days. I woke up this morning feeling so well rested and had loads of energy which was surprising considering I was up until nearly 1am, again, last night. I had a busy busy day of client sessions and squeezed in my workout this afternoon on my break. – Stair Master: 20 Minutes: 3 minutes double steps/3 minutes single steps. I did this Full Body Circuit in between each 20 minutes of cardio. *Reverse Flys: Did these lying on my stomach, on a flat bench – lift legs & chest off bench while performing reverse fly. This gets your entire backside working. Reverse flys are one of my favorite exercises and I do these often to counter all the chest exercise & yoga that I do. Reverse flys are a great exercise for scapular retraction & to get your rear delts firing. With this mornings chilly weather, I was already thinking about not making a smoothie because it makes me ice cold! 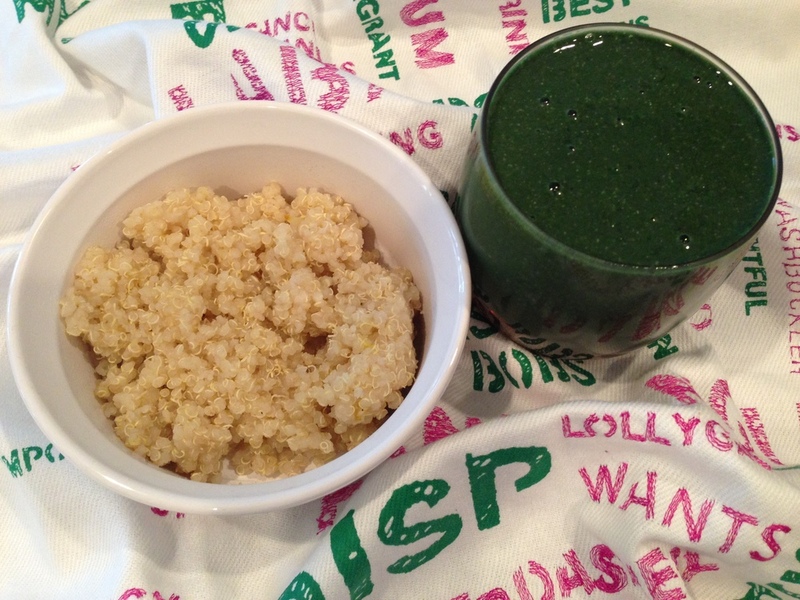 Did eat some warm quinoa after I drank my smoothie, though. I like to cook my quinoa in chicken broth for extra flavor. After I took this pic, I sprinkled in some Turmeric & Cayenne Pepper. Turmeric is a natural anti-inflammatory & cayenne is a awesome metabolism booster. I add both of these spices to my food on the regular! 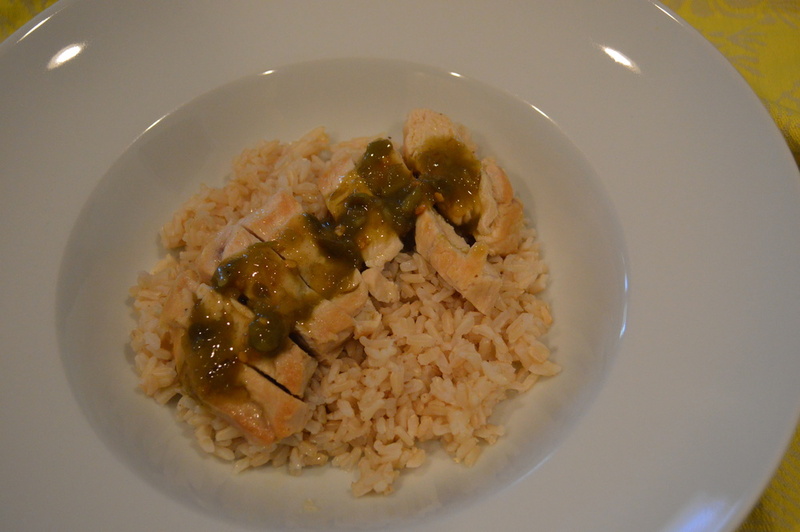 Brown Rice & Chicken with a spicy Jalepeno Verde Salsa. Perfect combo of protein & carbs to get me thru my afternoon gym sesh. 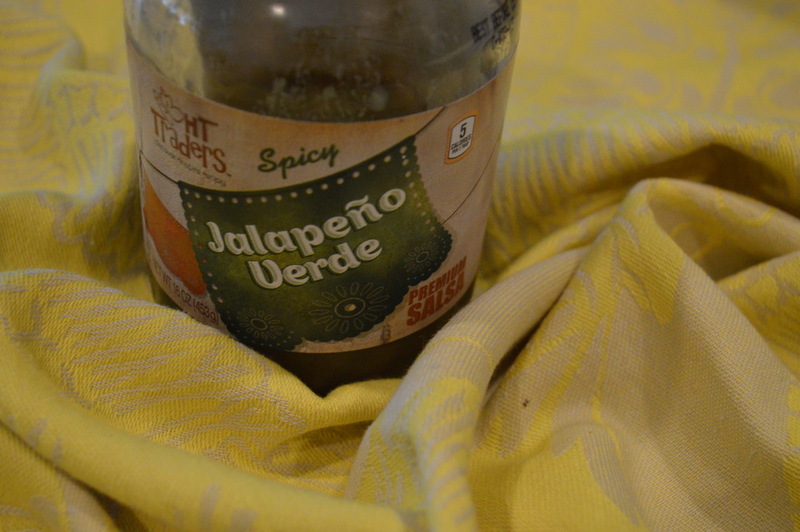 Spicy Jalapeno Verde Salsa from Harris Teeter- love this stuff! 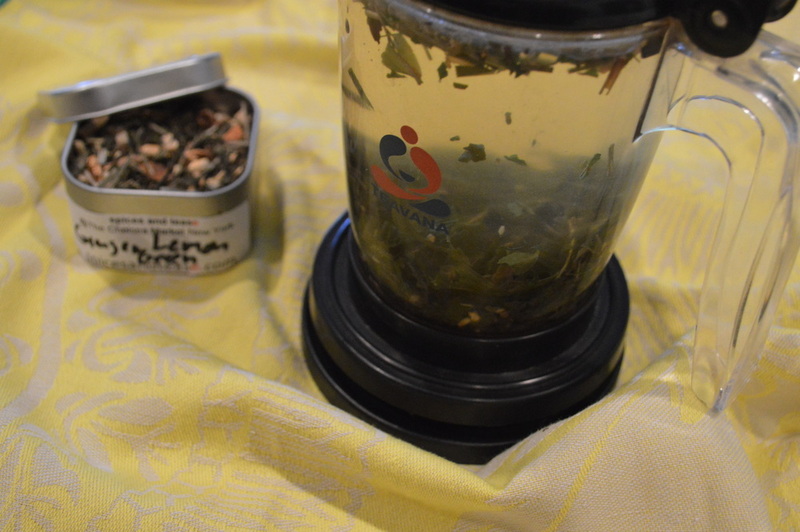 I steeped some Green Tea with my lunch this afternoon rather than drinking coffee. I got these beautiful loose leaf teas in the NYC street markets last month. 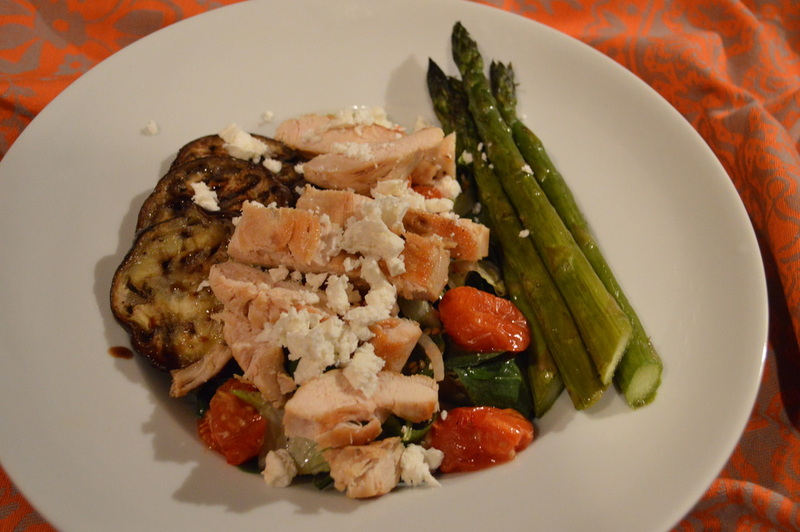 Big mix of salad & roasted veggies…tomatoes, asparagus & eggplant with chicken breast & crumbled feta cheese. Next Post Eminem Gym Sesh, Love Grace Smoothies & Wanderlust!